Build by GOMES A S.ROQUE, Lisbon. 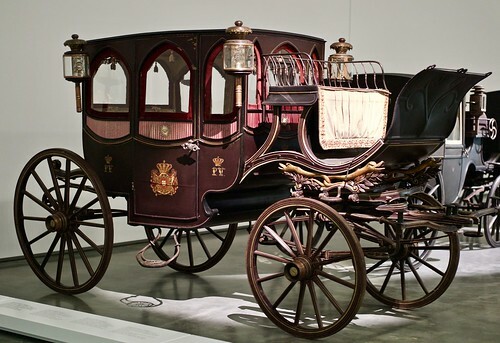 This style of vehicle takes its name from the Duke of Clarence, King William IV of the United Kingdom. It has a close body with four seats, and Romantic lancet windows. It is decorated with Masonic elements and displays the coat of arms of King Pedro V.